Cleanses and detoxification regimens were popular in the early 1900’s but have recently resurfaced as trendy with push from celebrities, so called “health practitioners,” documentary films and supplement companies. But do the claims of weight loss, feeling better and improved health, really stand true? What is a detox or cleanse? There is no one single way to describe cleansing or detoxing. For some this may be drinking only a concoction of water, lemon juice, maple syrup and cayenne pepper for days. For others this may be giving up a wide range of foods and turning to fruit and veggie juicing cleanses. Other common cleanses involve eating a restricted list of foods and taking a wide range of supplements, shakes or laxatives. There are also radical regimes that include colon irrigations (a procedure similar to an enema). Should we all be cleansing and detoxing? There is no scientific data that supports the claims made by detox and cleansing diets. 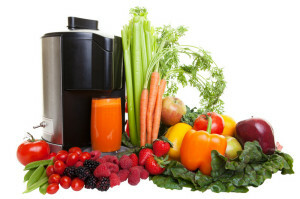 Proven scientifically, humans are fully equipped with the best detoxification system. The human body draws nutrients for the foods that we eat, and excretes wastes not needed. Organs work together in waste removal: the liver removes waste from the bloodstream and prepares it to be sent to the kidneys for disposal of the urine. The large intestine does not need internal cleansing since it works to reabsorb much needed water and minerals as the wastes pass. Can a cleanse help with weight loss? Any diet plan can create weight loss if calories are decreased. Remember that anyone can lose weight temporarily but can you sustain it? It has been claimed by promoters of cleanses that if weight loss has stalled for you or if you are trying to kick start weight loss that cleansing can help. The theory is that a specific diet will remove toxins out of the body allowing your body to function better and lose weight more efficiently. This is simply not true. Remember that we have the kidneys and liver as natural detoxification organs. Having more bowel movements does not typically increase weight loss since most of the calories in food is absorbed before it reaches the colon. Taking laxatives and herbal laxative products can falsely make it seem like you have lost weight because of dehydration and water loss. Also remember if your cleanse takes out carbohydrates, similar to low-carb diets, there can be an initial temporary water weight loss (after all one gram of carbohydrates stores about three grams of water on the body). Could there be some benefits of cleansing? Many detox programs encourage eating lots of fruits and vegetables, which are high in water and fiber and may help move things smoothly through the gastrointestinal tract, and this tends to make people feel better. Taking a temporary break from caffeine, alcohol and refined sugars-as is prescribed by most of these plans-may not only eliminate energy crashes sometimes associated with these ingredients but also could help people realize just how much “junk” you normally consume. In this way, detox periods may inspire longer-term healthy changes. What are the risks or potential negative effects of cleansing? Colonic irrigations done improperly can seriously injure the large intestine and create an imbalance for the friendly or good bacteria found in the gut. Other “safer” plans (those that promote eating only select, nutritious foods) may cause fatigue or dizziness if they don’t supply adequate calories. If severe calorie restriction is sustained for more than a few days, the body may sense impending starvation and release stress hormones, a response that ironically may increase circulating toxins. Finally, the enhanced energy or euphoria that detox dieters often report may be the result of surging stress hormones too. Evolutionarily, it makes sense: a “fight or flight” response drives hungry animals to seek out food aggressively. An adrenaline-charged drive is short-lived, and with prolonged calorie restriction, the body powers down to conserve energy, ultimately slowing the metabolism. What is the bottom line when it comes to cleanses? If you’re a healthy adult, living on vegetables and water for a few days isn’t likely to do you harm—or much good. If you operate on the mode of ‘live today, detox tomorrow’ you are fooling yourself. Optimizing your body’s natural detoxification systems is best achieved by the everyday boring messages you’ve heard before (eat well, drink water, get enough sleep and exercising regularly). You mention there is a healthier way to think about cleansing? Do a MEAL cleanse rather than a diet cleanse. Write down what you eat for 3-7 days and pick out one meal that strikes you as the one that needs some work. Maybe this is your breakfast, mid-afternoon snack or evening snack. Out with the old and in with the new. If every day you replaced your vending machine or processed food afternoon snack and instead chose a healthy option rich in whole foods and sustained this over the long term. This would indeed improve wellness, energy and healthy weight management. A very good article in my mind. More of the general public needs to understand that cleansing isn’t a short cut. What bothers me most is that for sustained weight loss to happen muscle mass should be built. I’m actually getting tired of the question of “why am I not losing weight? Im consuming way under my RMR. “. I do think the majority of the public is becoming focused on low calorie deficits and not realizing that the deficit should happen after your body has all of the nutrient needs (which requires more exercise that people want to do). Explaining this thought to the masses goes against what the general weight loss message is (“eat less lose more”). What we should do is change Canada’s food guide to Canada’s exercise and food guide to include this (maybe a nice info graphic). Maybe even a Canada’s weight loss guide to make sure people aren’t being stupid with eating too few calories.